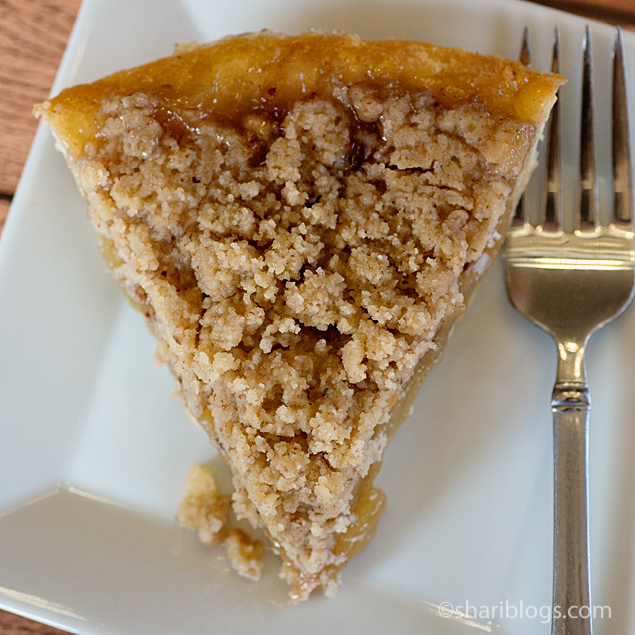 This Cinnamon Apple Crumb Pie is so easy to make and you’ll have everyone thinking you slaved in the kitchen all day making it. I love all kinds of cooking, but quick and easy recipes are some of my favorites. My oldest son and husband LOVE apple pie. I had only made apple pie once and that was in the form of hand pies. I decided I wanted to try something a little different this time so when I spotted this recipe in a cookbook I have, I knew it was perfect. 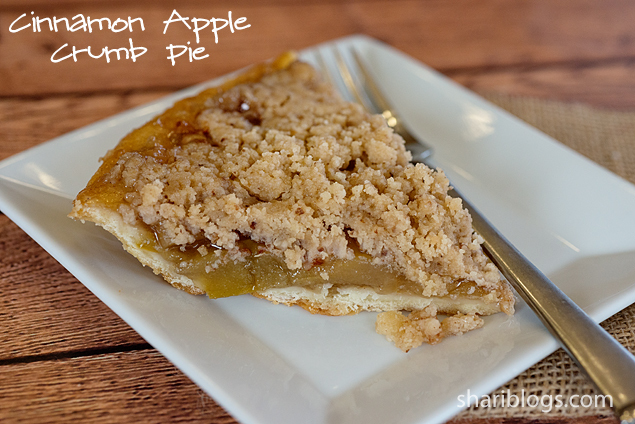 The only thing I might do different next time is cut up the apples in my pie filling to smaller pieces. I felt like some of them were a bit too big. That’s just a personal preference thing though. Put pecan shortbread cookies in a food processor to crush. You can also put them in a large ziploc bag and crush them with a kitchen mallet. Set aside. Sprinkled cinnamon over the pie filling. Dot with 1 tablespoon of butter. Melt the remaining butter and combine in a small bowl with the crushed cookies. Stir well until coarse crumbs form. Sprinkle this mixture evenly over the filling. Cover the top of the pie loosely with foil. Bake at 450° for 10 minutes. Reduce heat to 350°, remove the foil, and bake for 40-45 minutes. The crust should be golden brown and the filling should be bubbly. Recipe from Taste of Home’s Simple & Delicious Cookbook. Meet our sweet Chow Chow Zoe. She is 9 years old and has been with us since she was just a little puppy. She is definitely a member of our family. She is always so happy to see us when we walk through the door after being away. She sits under my desk all day while I am working. She follows me to the laundry room, kitchen or anywhere else that I roam. We all spoil her rotten. The kids call her their sister. Needless to say, we LOVE her very much and take good care of her. When Milk-Bone contacted me to try their new Brushing Chews I was excited. Milk-Bone has been a trusted name in dog treats for as long as I can remember. I do have to admit that I was a little worried after I agreed to do the review because Zoe isn’t a big fan of dog treats. As a matter of fact, she pretty much turns her nose up to all of them. However, when I read about how good these would be for her teeth I knew that we had to give them a try. We have remarked several times that Zoe needs some improved dental hygiene. When the treats arrived, I received a box of mini treats, as well as a box of small/medium. I decided to give Zoe the Mini ones (as they are still pretty big) and give the small/medium ones to my parents. They have a labradoodle that is larger than our Chow. As you can see, these treats have lots of texture to them. They also have a more smooth, almost rubberized feel. Helps fight tartar build-up, plaque, and halitosis. When fed daily, Milk-Bone Brushing Chews are clinically proven to be as effective as brushing your dog’s teeth twice per week based on the reduction of tartar build-up and bad breath. The dental bone twist design helps dogs maneuver for whole mouth cleaning action, and helps to clean even the hard to reach back teeth and down to the gumline. The nubs and ridges are designed to clean like the bristles on a toothbrush. The new Milk-Bone Brushing Chews are so effective that they have earned the trusted Veterinary Oral Health Council’s (VOHC) Seal of Acceptance which is similar to the American Dental Association seal. As you can see below, Zoe didn’t waste any time tearing into her new treat. Needless to say, I would definitely recommend these treats to every dog lover for their pet. Not only did my picky dog like the taste and eat them up, but her teeth were also noticeably more clean afterward. We have continued to give her one of these once a day to help her dental hygiene. Now on for the even better news, we have teamed up with Milk-Bone for a very special giveaway. One lucky reader will win a $25 Visa Gift Card and Mini and Small/Medium varieties of Milk-Bone Brushing Chews. Just enter below! CONGRATULATIONS to Elena Istomina for winning the Milk-Bone Brushing Chews & $25 VISA Gift Card. Today I want to talk about deodorant. I mean we all HAVE to wear. If you aren’t, you should be because trust me you NEED it! Nobody likes smelling someone else’s body odor. When it comes to deodorant I have to say that I am quite picky. I have a list of criteria that it must meet. 1. It has to smell good, but not be overpowering when I sweat. Sometimes I think smelling strong deodorant is just as bad as body odor! 2. It has to go on smoothly. I can’t stand it when it leaves little clumps of deodorant on my underarms. 3. It can’t leave white residue all over my clothes. I wear black A LOT! 4. Last but not least, it has to keep me nice and dry and smelling good. Believe me, I have tried about every deodorant out there. I always come back to the Secret line. When I was contacted to try their new Clinical Strength products, I quickly said yes! Did you know heat, activity, and stress can all cause you to sweat and that stress sweat smells worse than other kinds of sweat? Stress sweat comes from a different gland—causing more bacteria and more odor. 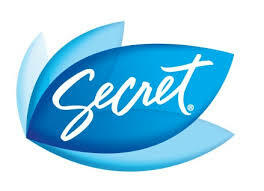 Secret® Clinical Strength® gives you 4X* protection from stress sweat. It absorbs odor while releasing scent to keep you smelling clean and feeling dry. Plus, it’s doctor-recommended and was the #1 awarded antiperspirant/deodorant among beauty magazines. 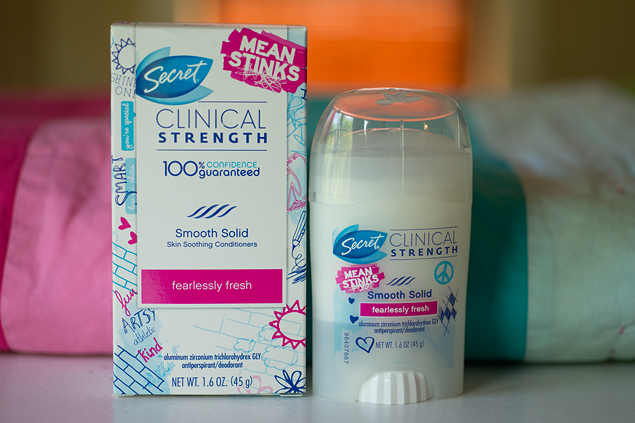 I chose the Clinical Strength Smooth Solid in Fearlessly Fresh. I love the scent! It smells so good but is yet subtle and not overpowering. I don’t want my deodorant to compete with my perfume! 1. It glides on silky smooth and doesn’t feel wet. 2. It kept me smelling fresh all day, even after exercising. Yet, it wasn’t overpowering at all. 3. No wet underarms here! It kept me nice and dry! 4. No white residue on my clothes! 1. The size is a little smaller than I expected. 2. It is a little pricey, especially when combined with the smaller size. I do highly recommend that you try this though. You can find it readily available at your local Wal-Mart store or at Walmart.com. We’re having a giveaway!!!! 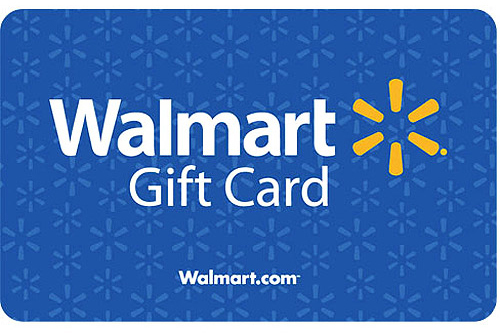 Enter below to win a $25 gift card to Wal-Mart. CONGRATULATIONS to Amanda Huizenga for winning the $25 Wal-Mart Gift Card! Everyone already knows my extreme affection to anything cinnamon. 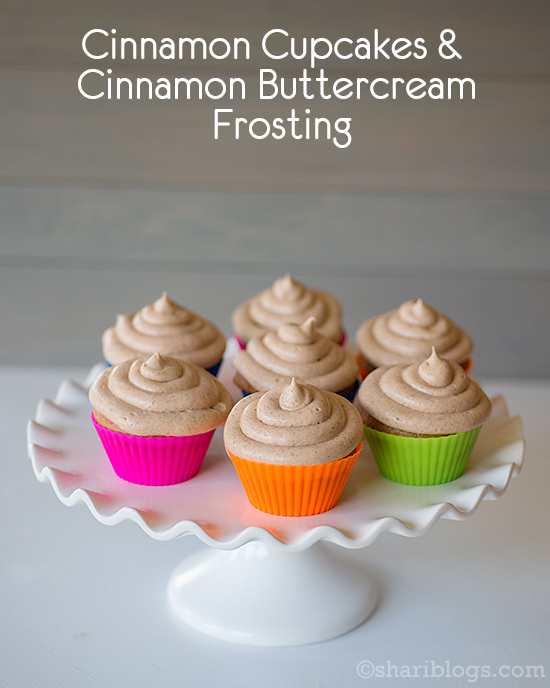 If you are a cinnamon fan too, you MUST make these Cinnamon Cupcakes with Cinnamon Buttercream Frosting. Like right now. This very minute. They are so moist and yummy! 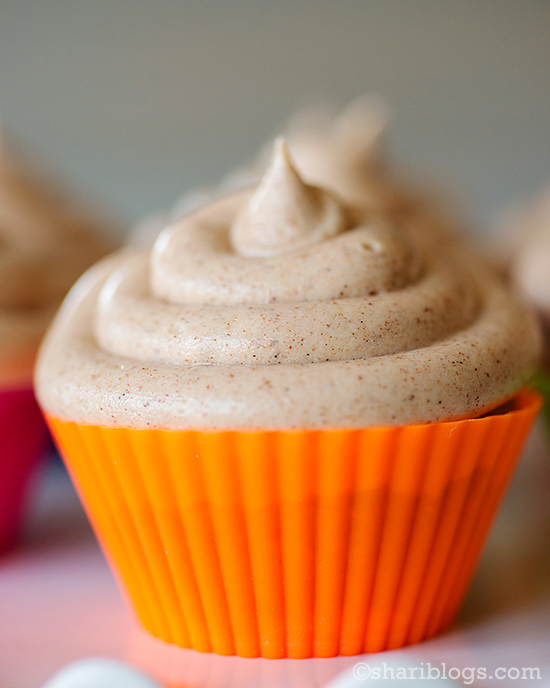 Doesn’t that frosting just look divine? 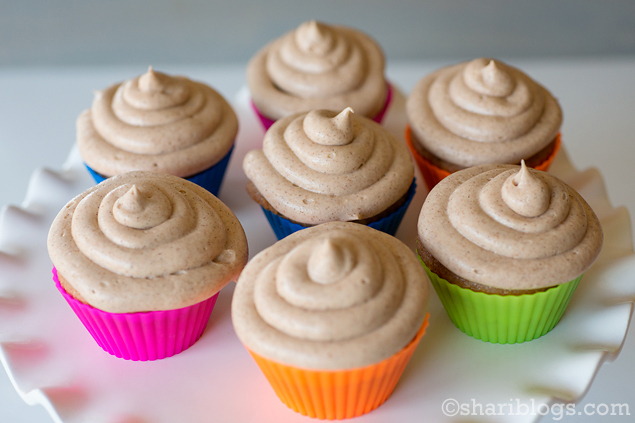 I might have grabbed a spoon and eaten half of it before I ever started frosting these. My mouth is watering just thinking about it. 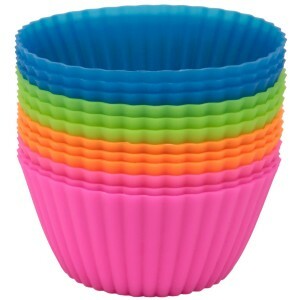 I baked these in the New York Baking Company Silicone Baking Cups that they sent me to review. You can find my review about them here. I love using silicone baking ware because everything bakes so evenly and I never have to worry about the bottoms or sides getting too dark. Preheat your oven to 350°. Line a muffin pan with paper baking cups or silicone baking cups. Set aside. In your stand mixer, beat together the cake mix, pudding mix, water, butter, eggs, cinnamon and vanilla on low speed. Mix until just moistened. Be sure to scrape the sides of the bowl. Spoon the batter into the muffin cups to about ⅔ full. Bake in the oven for 20 minutes or until a toothpick inserted comes out clean. Cool in the pans on a wire rack for about 10 minutes. Remove and let them cool completely before frosting. In a large bowl on medium speed, beat the butter until light and fluffy. Add in the vanilla extract. Mix until well blended. In a small bowl, mix together the ground cinnamon and the confectioners sugar. Gradually add the cinnamon/sugar mixture to the butter mixture and beat until well blended. Be sure to scrap the bowl well. Add the milk and beat until light and fluffy. 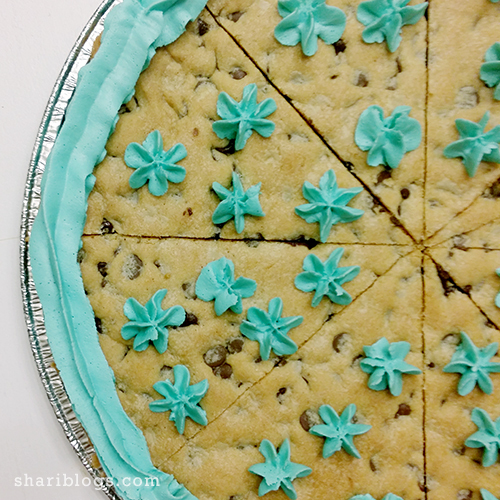 My daughter requested a chocolate chip cookie cake for her birthday this past year. I was a little disappointed when she asked because I LOVE a good bakery cake piled high with butter cream frosting! However, I am all about spoiling these angels of mine so she got exactly what she wanted! After her birthday, we all started to crave those darn cookie cakes. We made quite a few trips to the local cookie company which were not cheap. 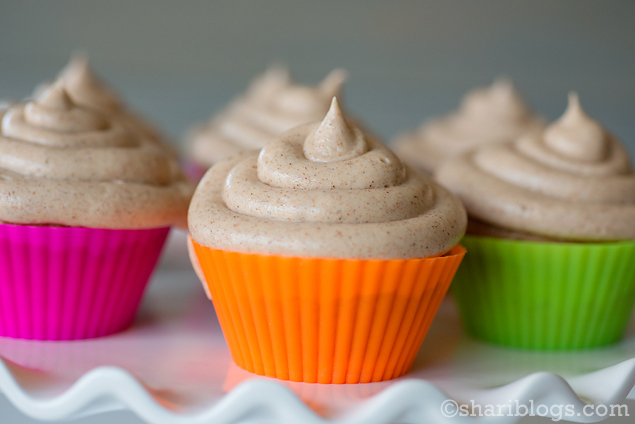 I decided that I had to figure out the perfect recipe to make these at home. I scoured the internet and settled on this one. I made just a couple very small alterations and it turned out PERFECT!! We were all so excited! Spray a 12" disposable aluminum pizza pan and set aside. Cream together the butter and sugars on medium speed in a large bowl. Mix until light and fluffy. In another large bowl, combine flour, cornstarch, baking soda and salt. While mixing on low speed, add the dry ingredients into the wet ingredients. Keep mixing until the dough comes together well. Now press the dough into the pizza pan. Bake for 16-20 minutes or until the edges start to brown. Frost with butter cream, if desired. 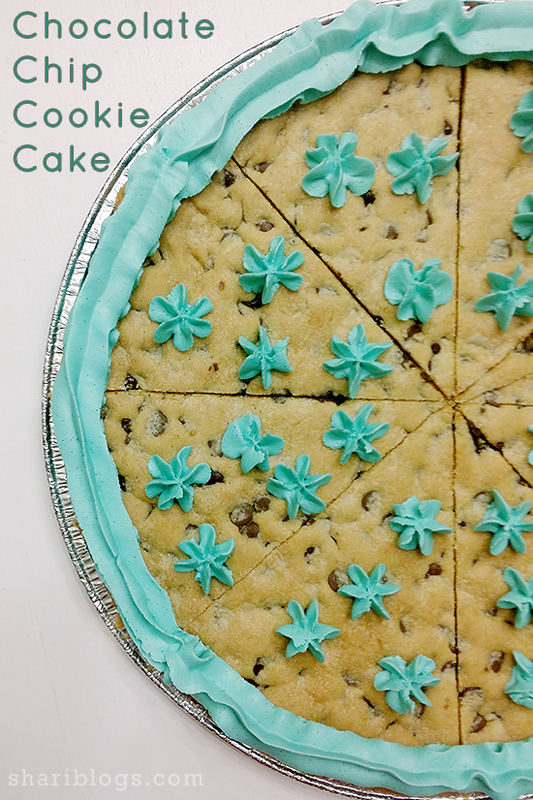 **This makes a thin cookie cake. If you would like to make a thicker cake, double the recipe and use a deeper pizza pan. ** If you use dark brown sugar, your cookie cake will have a deeper flavor. We use light brown and love it. It's personal preference! *Excuse the photos. They were taken with my phone camera because the kids were already digging into it before I could set it up for better photos!